Despite being the latest release in the Ys franchise, Memories of Celceta is more of a reimagining of Ys IV, a title which has one of the most unusual histories in gaming. 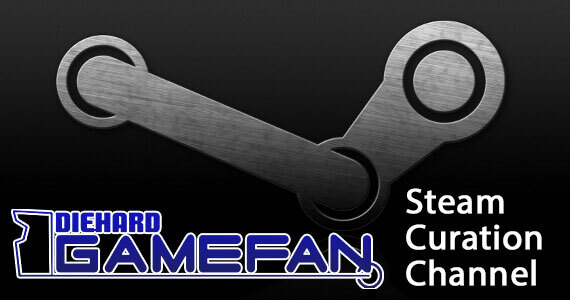 It was originally designed for two different systems by two different companies, neither of which were Falcom. Tonkin House created the Super Famicom version known as Ys IV: Mask of the Sun (which was recognized as series canon until now), while Hudson Soft fashioned Ys IV: The Dawn of Ys for the PC Engine CD. In 2005, Taito took a shot at a remake for the PS2, which came to be known as Mask of the Sun: A New Theory. Now, finally, here we are with the Vita version of Memories of Celceta, which is actually developed by Falcom and currently regarded as the canonical story of Adol’s exploits in Celceta. Confused yet? The point I’m trying to make is, we got a new Ys game in English, one that, even after three previous incarnations, has never made an appearance on our shores until now. It’s also one of the reasons I bought a Vita in the first place, so let’s take a look to see if all of that anticipation has paid off, shall we? Memories of Celceta takes place somewhere between Ys II and The Oath in Felghana. We see Adol stumbling his way into a village and collapsing on the ground. When he comes to, he has no recollection as to who he is or what he was doing to wind up there. A man named Duren recognizes him and realizes that he had somehow entered the forest of Celceta and came back alive, a feat that few can claim to be able to do on account of how dangerous it is. 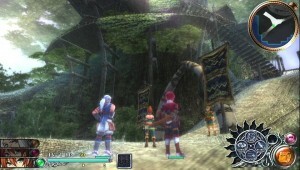 It isn’t long before Adol comes to the aid of some troubled miners, and he is offered a job by the Romun Empire to craft a map of the forest. As is always the case with Adol, he becomes embroiled in a much greater struggle to determine the fate of the world. While the plot does have a few cliché elements to it (amnesiac hero, villains who want to be God, etc) it’s still rather well done for a reworked tale from 1993. As you progress through the game, many of the events that led Adol to his bout of forgetfulness are told via memories that are found in your journey. Many are unlocked simply from normal progression, but there are a number of optional ones that help flesh out the finer details. 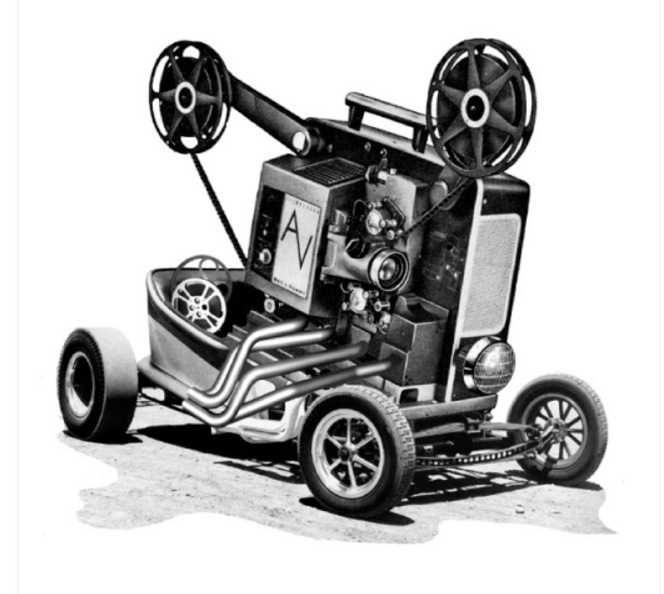 It’s a mechanic that is well utilized, as despite the number of predictable moments, some of what you learn offers a few surprises and is an enjoyable tale throughout. It certainly doesn’t hurt that the dialogue is humorously written or that the supporting cast is generally very likable. None of them can be easily pigeon-holed into common RPG archetypes, which is usually a challenge with today’s Japanese titles. If you’ve spent any time with Ys Seven, you should feel right at home with the structure of Celceta. You can have three party members active at any given time and swap between them with the circle button. 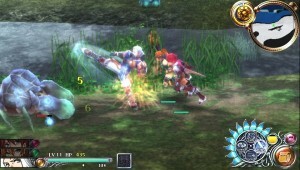 Each character has a weapon that matches a particular element: slash, pierce or striking. The purpose of switching characters is so that you can attack an enemy with an element they are weak against, thus resulting in an excellent kill that rewards you with additional items and gold. 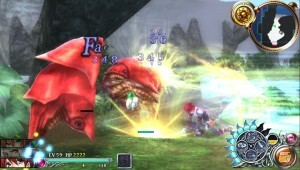 Bonuses are granted for performing combos while a monster is juggled in midair as well as finishing them with a skill. The characters also have a personal action unique to them that are often required in order to progress, such as picking locks or breaking cracked walls. As you fight, a yellow meter slowly builds in the lower right hand corner. When full, the L button allows you to unleash your character’s EXTRA skill, which renders them invulnerable when being performed and causes a ton of damage. 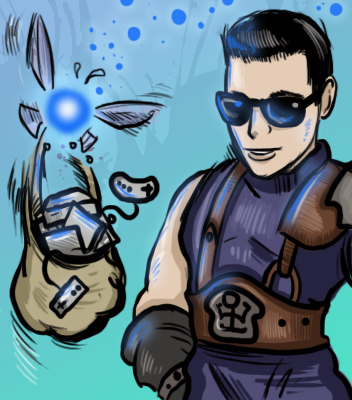 Adding to the already fairly robust repertoire is the ability to Flash Guard, which not only negates damage done to the player, but offers automatic critical strikes and increased SP gain from enemies. If you dodge with X at the correct time, this will trigger Flash Move, thus slowing down time momentarily. Commanding your fellow teammates is also a cinch. Just pinch the back touch pads; in if you want them to evade, or out to make them aggressive. Oh, and let’s not forget about the touchscreen. Poke the map if you want to see the map. Press an enemy if you want to see their stats. Click on the bag if you want to pull up your items. Despite the large number of menu items, the streamlined interface makes navigating it rather convenient. Speaking of convenience, you can save anywhere you want to, though death will merely send you back to the last monument you passed. Early on, you’ll be able to warp between these monuments so long as they are of the same color, though eventually you can teleport to any of them from any location on the map. It’s a pain that the latter option takes so long to appear, especially since similarly colored monuments are rarely in the places you need them to be, but it is what it is. Gear such as weapons and armor can still be purchased, though if you’re strapped for cash, current items can be upgraded using parts you find from monsters or the various mineral points on the map. In fact, some of the more worthless stuff can be traded up for items of value at no cost, so you can make some money selling these better items (something one of the side missions teaches you about early on). The stats that are applied during an upgrade aren’t static, despite what the numbers behind the title might lead you to believe. Depending on what material you use, the capability to burn or poison can be added to your weaponry and, likewise, resistances can be added to your current armor. Later, you’ll find merchants that can use parts to craft potions and accessories to take into battle with you too, as well as upgrade the artifacts (key items) that you use in your quest. Not everything is all sunshine and rainbows, however. For a title with such fast moving combat, I was a bit taken aback at the number of times when things abruptly grind to a halt. 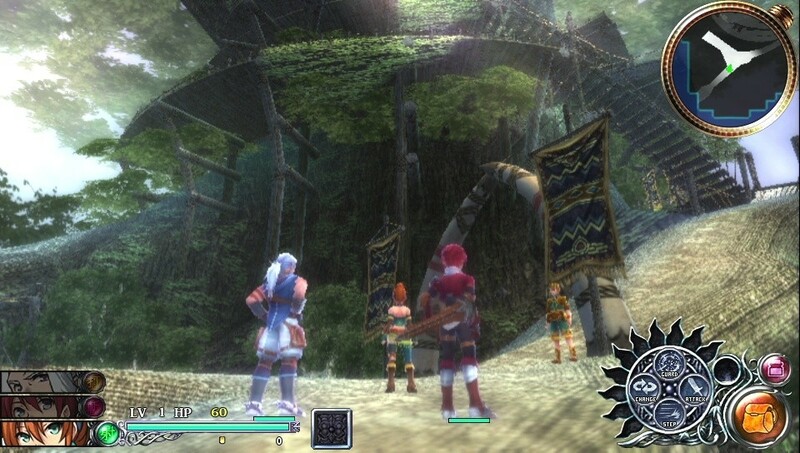 Most of the time, when visiting a new town or viewing one of Adol’s memories, you are forced to walk around town and talk to EVERYONE until you find the right people with the information you need to progress. While this may be something one would do anyway in hopes delving deeper into the lives of the game’s various NPC’s, being forced into it feels like too much of a throwback to older games. Especially on account on how much Memories of Celceta tries to feel so modern. While a straight playthrough might take you around twenty hours or so, there are a number of missions that can be taken on via the quest board found in each town that will reward you with cash and new gear. There are multiple difficulty levels that can be undergone, and completion of the game will unlock a New Game+ that will carry over most everything into a new game (very helpful for the more time consuming trophies). Time Attack/Boss Rush will unlock at this point as well, which is accessible during a New Game+, that will pit your current party up against each of the game’s many bosses. 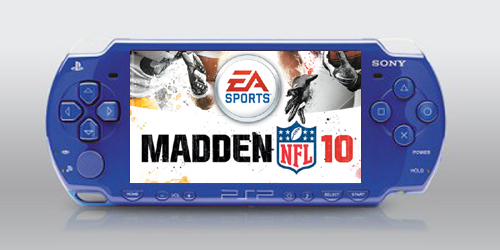 All told, there should be plenty to keep Vita owners busy for a while. The character sprites weren’t nearly as impressive as I had expected them to be on account of the hardware, though they are still a step up from prior entries. On the other hand, the land of Celceta is well designed, often sending Adol to places where far off cities can be seen in the background, which lends weight to the fact that he is indeed exploring a very large landscape. That is, if you can manage to keep track of the various sights, as the fast action causes money and items to explode everywhere you look. The animated sequences that play at the beginning and end of the game look gorgeous on the Vita screen though. There isn’t much in the way of voice acting, especially since Adol himself almost never speaks, save for flashbacks and the dialogue choices entered by the player. Still, each character will utter a few sentences throughout the game and they are generally well done. The real star of the show by far though will be the game’s soundtrack. The electric guitar laden themes give the Vita’s speakers a workout, not to mention provide excitement during some of the more climactic boss battles. Even during normal exploration, things are generally quite upbeat and rarely let up for a second, so if you’re looking for something more somber, you won’t find much here. 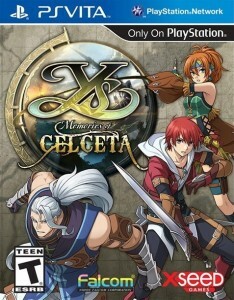 So did Ys: Memories of Celceta deliver on all of its promises? I’d say so. It took a twenty year old game that didn’t yet exist in English and managed to modernize it in such a way that it more closely resembles its most recent installment (Seven) than it does with either of its original forms. For those that dreaded the platforming from Felghana or Napishtim, you’re in luck too; you’ll find none of that here. If you’ve been following the series this far, especially the more recent entries, then definitely pick this one up as well. Adol returns in Ys: Memories of Celceta, a Vita reimagining of 1993’s Ys IV. 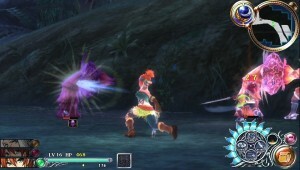 Don’t let the age of the original story fool you: the end product barely resembles either of the original games, and has more in common with Ys Seven than any of the older titles. It takes advantage of the system hardware, but not so much so that it feels forced. In fact, the new touchscreen interface streamlines the menu considerably and having party commands mapped to the back touchpads gives them something to do while leaving the face buttons for actions far more useful. Combat is as fun as ever, and the three-person party rotation mechanic is still a joy to mess around with. Let me put it this way: it’s one of those games that makes me glad I bought a Vita in the first place. 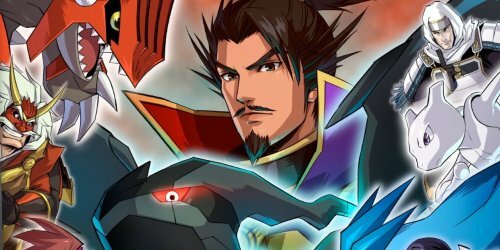 Three More Pokémon Conquest Passwords! Great review! Im glad to see more ppl is talkin this game. It deserve more attention than wha its getting…. Thanks! I’m hoping it does well enough to merit another sequel. Or an Ys V remake. Either is fine.